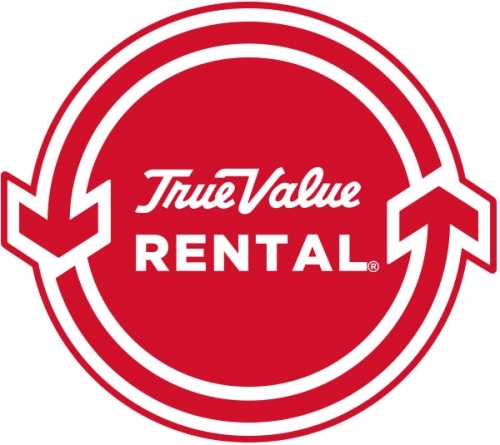 Share "Renting Storm Cleanup Equipment"
When it comes to the changing weather, we learn to take the good with the bad. Sometimes though, Mother Nature tends to get a bit too cranky. Whether she throws us a typical storm or even hits us a little harder, it’s best to know what to do. Below, we share some before and after tips, as well as go over what equipment could come in handy. Trees- Inspecting your trees should be a priority.Look for cracks in the trunk or on major limbs, branches that are too close to your house (or other important structures), and their proximity to power lines.Trees that show signs of disease, have large cavities of decay or that are leaning should be inspected and possibly removed.Try to stay ahead of the storms by trimming dead branches and those too near to your structures. Keep in mind that you should not attempt to trim branches that are too close or touching power lines. Call your local utility company and make them aware of the problem. Fences- It’s a good idea to keep your fencing in good shape for a variety of reasons, and storm preparation is no exception. Repair or replace any loose boards that may fly off in high wind. This is also a good time to stabilize or replace any posts that are loose or weak. Renting a post-hole digger will make this a simple project. Keeping things put away- Store any loose objects if a storm is expected. Lawn furniture, trash cans, tools and any other objects that can be easily blown around should be secured in a shed or garage. Access the damage- Check if power lines are effected or not and call your local utility if necessary. 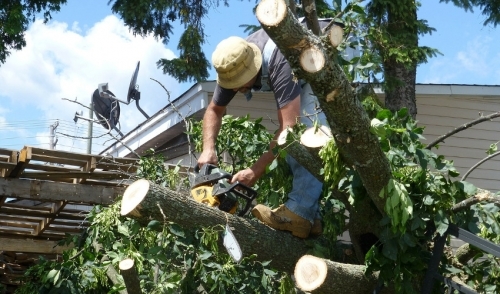 Be cautious of leaning trees and other hazards.If trees are down, read on for recommended equipment to make your clean up easier.If trees are not down, inspect for cracks and fallen branches. If the damage seems too extensive, you may need to consult an Arborist for advice on the fate of your damaged tree. Chainsaws- Probably the most useful tool for cleaning up after a storm. Use all safety precautions as recommended when renting your saw. Try to have a helper as you work, as well. Chippers- Nothing makes short work of a fallen tree quite like a chipper. You should try to rent the proper size chipper that best fits your needs. Most homeowners get by nicely with smaller models that can be wheeled around the yard by hand. The silver lining here is that you will be turning your yard waste into useful mulch for your landscaping projects. Ladders and Lifts- These are useful for repairing siding, windows, gutters and roofing from storm damage. If you find that the repair job is beyond your ability, use the opportunity while up there to take pictures of the damage for insurance purposes. Generators- Depending on your needs, generators can be essential during prolonged power outages. Pressure washers- If the storm brought flooding, a pressure washer can do wonders to scour silt and grime away. Pumps- If you are unfortunate to have a basement full of water, a pump can be vital. As with using all equipment, safety is paramount. Follow all directions concerning proper gear and procedures to ensure your storm cleanup goes as smoothly and safely as possible. If you have any questions concerning availability or what equipment will best fit your needs, give us a call and we’ll be happy to help.